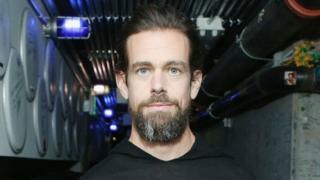 Twitter boss Jack Dorsey has responded to criticism of his 10-day meditation retreat in Myanmar, saying: "I don't know enough and need to learn more." Last year, Myanmar's military launched a violent crackdown after Rohingya militants attacked police posts. Since then thousands of people have been killed and over 700,000 Rohingya refugees have fled the country. Mr Dorsey said he was "aware of the human rights atrocities" in Myanmar, also known as Burma. But he added that the trip had been "purely personal" and had focused only on his meditation practice. Mr Dorsey said he had been asked by Twitter users to explain what the social media company was doing about the crisis in Myanmar. He tweeted Twitter was a way for people to "bear witness to the plight of the Rohingya and other peoples and communities". "We're actively working to address emerging issues," he said. Mr Dorsey had previously posted tweets about a vipassana meditation retreat he had taken to celebrate his birthday. Vipassana is a Buddhist meditation method said to provide practitioners with greater insight into their inner selves. Describing Myanmar as an "absolutely beautiful country", Mr Dorsey had encouraged any of his four million followers who were interested and willing to travel there and try it for themselves. The UN has described Myanmar's operation against the Rohingya as a "textbook example of ethnic cleansing" and says senior officials should be investigated and tried for genocide. The army has previously cleared itself of all wrongdoing and rejects the UN's allegations. Criticism of Mr Dorsey's choice of holiday destination came in quickly to the social media platform. "The tone-deafness here is... wow," another user said. "This is an extremely irresponsible recommendation," one response reads. "Does he pay no attention to the news and the outcry on his own platform?" they added. Others have responded positively, with one Twitter user writing: "Glad you got to experience Myanmar - it's an incredible place with even more incredible people." But another wrote: "Dude - just stop. "You're just making it worse."